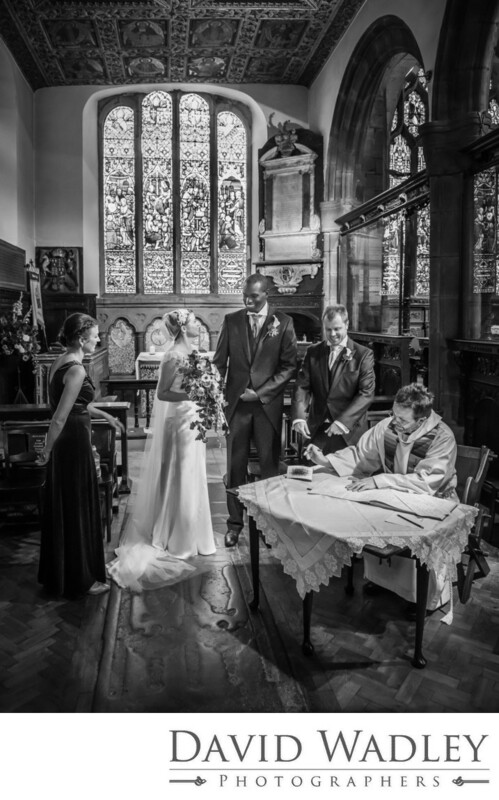 Holy Trinity Parish Church Sutton Coldfield Signing the Marriage Register. Bride & groom together at Holy Trinity Church. Location: Church Hill, Mill St, Sutton Coldfield B72 1TF.